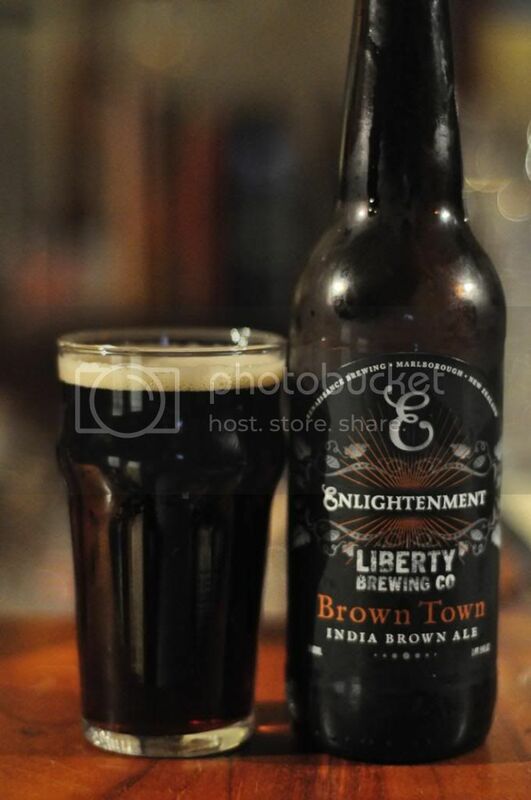 The latest in a line of Enlightenment beers from Renaissance is Brown Town; a collaboration with Liberty Brewing. They've termed it an India Brown Ale, which from what I understand is basically a hoppy new world brown ale, I'm really looking forward to seeing what this tastes like. 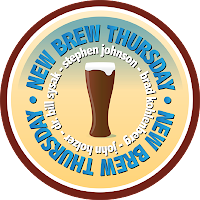 I'm stealing this from last time I wrote a New Brew Thursday review: New Brew Thursday is one of those badges that I've never fully understood. Basically you get this if you have 3 beers you haven't checked in before on 3 Thursdays in a 30 day period. Basically it comes around every month and surprises you every time.. Onto the nose and this is where the "India" in India Brown Ale first comes into play. There's plenty of grapefruit and even some piney elements. Despite the strong hop presence there is still the malty nuttiness that you would expect from a brown ale. It's a beautifully balanced nose. Brown Town tasted exactly as the nose indicated that the beer should taste. It had a lovely nutty malt base with quite resinous hops providing bitterness. There's significantly more pine than the nose indicated and the grapefruit flavour is also strong. This is definitely not a brown ale for the purist. Overall it's a really interesting beer that I'd recommend to people who like hops. Although brown ales typically aren't known for their hops this one certainly packs a bunch of them; if you buy this expecting a normal brown ale you will be severely disappointed! It's so much more than that! Hopefully soon I'll manage to find some time to pump some more reviews out as I've had alot of great beers recently.